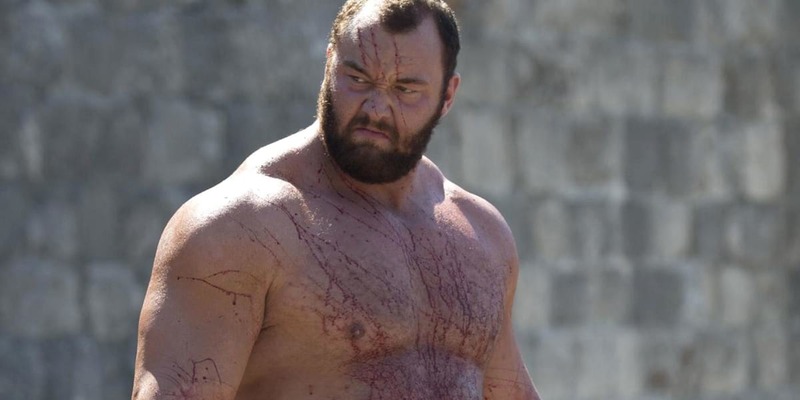 The actor Hafþór Júlíus Björnsson, best known for playing The Mountain on HBO’s Game of Thrones, has revealed he’s suffering from Bells Palsy and that the virus has paralysed half his face. Hafþór revealed the news on his Instagram account explaining that he began feeling sick on Sunday and woke up the following Tuesday with his face feeling numb. The numbness got worse through the day until it was completely paralysed and Hafþór’s friends, concerned he was having a stoke, took him to the hospital. To all my dear strongman fans, I have a small announcement. Last Sunday I got very sick. On Tuesday morning I woke up and the right side of my face felt kind of numb. It got worse over the course of the day and then it got completely paralysed. My friends insisted sending me to the ER to get things checked out as they were seriously worried I was having a stroke. I spent a good amount of time at the hospital as doctors ran some tests on me. Luckily I was informed there was nothing to worry about. That I have caught some virus called Bells Palsy which causes half of my face getting paralysed. It can last from a week to a few months apparently. So please keep that in mind if you come to Europe's Strongest Man tomorrow and get pictures with me that I'm not in a bad mood I just can't really smile for pictures haha! Other than that I feel good and look forward to battling it out with the guys for the Title of Europe's Strongest Man 2017 and putting on a great show for all you guys! Bring it on! Thankfully there was nothing to worry about, doctors diagnosed him as suffering from virus called Bells Palsy which was causing the paralysis. They also confirmed that the paralysis is only temporary and can last from a week to a few months apparently. Despite the news Hafþór is staying positive and looking forward to taking part in Europe’s Strongest Man even joking about his paralysis. Please keep that in mind if you come to Europe’s Strongest Man tomorrow and get pictures with me that I’m not in a bad mood I just can’t really smile for pictures haha! Other than that I feel good and look forward to battling it out with the guys for the Title of Europe’s Strongest Man 2017 and putting on a great show for all you guys! Bell’s palsy is a condition that according to the NHS affects one in 5,000 people a year and is most common in people aged 15-60, and causes temporary partial or full paralysis of a persons face. It’s currently unknown what exactly causes Bells Palsy but researchers believe it has something to with the nerves in the face becoming inflamed and it may be linked to a viral infection. And for those of you out there wondering how this will affect Game of Thrones the good news is that Hafþór finished his filming weeks ago. And lets be honest The Mountain’s not been so expressive since he lost his head. 2017 Europe’s Strongest Man takes place today in Leeds so good luck today Hafþór not that you need it you man mountain you.